While they may be reluctant to try a yoga class due to common misconceptions about the need for flexibility, runners could benefit from performing downward facing dog. Although extremely beneficial, running can cause a few health concerns. Not only do some runners actually neglect other muscle groups, but the repetitive motions can actually increase the risk of injury. Thankfully, yoga can help to prevent much of this. In fact, a lot of runners find themselves doing it in an effort to ease an injury or better their flexibility. Buy practicing yoga, runners can help to strengthen different muscles as well as improve mobility. Read on for more reasons as to why yoga is the perfect complement to running. Running targets our legs and – to some extent- our arms. Unfortunately, this can create a muscle imbalance due to a stronger lower body and other, neglected, weaker muscles. A muscle imbalance can increase the risk for a lot of running injuries. Fortunately, as it targets all the muscles, yoga helps to strengthen the entire body. This then lowers the risk of any sort of running injury. The benefits of a stronger core include improved posture, better balance, and even a faster running speed. While some exercises can help to build a stronger core, certain yoga poses were built for just that. These poses accomplish this by putting a strong emphasis on balance and stability. With a stronger core, runners will find themselves using their arms and legs more efficiently, which creates a much better form and reduces fatigue. Also, better balance means a lesser chance of muscle imbalances which then means a lower risk of injury. For every fitness body, runner or not, lung capacity is of great importance. The better the lung capacity, the more oxygen transported around the body thus boosting both endurance and performance. Unfortunately, despite its importance, a lot of athletes are guilty of not using their lung capacity to the fullest. In fact, a lot of them only use the top portion of their lungs to breathe, ignoring the middle and lower portions. Thankfully, yoga places a strong emphasis on breath work. Whatever the form, each pose is done in yoga requires slow, strong and deep breathing, with individuals using every portion of their lungs. Studies have shown that yoga breathing techniques can help to improve lung capacity. By learning to make full use of their lungs, runners will not only keep nagging stomach cramps away but they’ll also train themselves to go the distance. Recovery is an important, often underrated, aspect of every athlete’s physical journey. While one can make use of foam rollers, yoga is a great form of recovery. Having a yoga session following a run will increase blood flow and help stretch out tight muscles as the last thing you want to do is wake up with sore muscles. Anybody that’s been to a yoga class can tell you that, aside from the deep breathing, a lot of the yoga poses aim to loosen up muscles and improve flexibility. As mentioned, running can overwork some areas of the body and neglect other areas. This then can result in muscle tightness – another risk factor for injury and poor performances. Thankfully, studies have shown that by loosening tight muscles, yoga decreases the risk of injury. 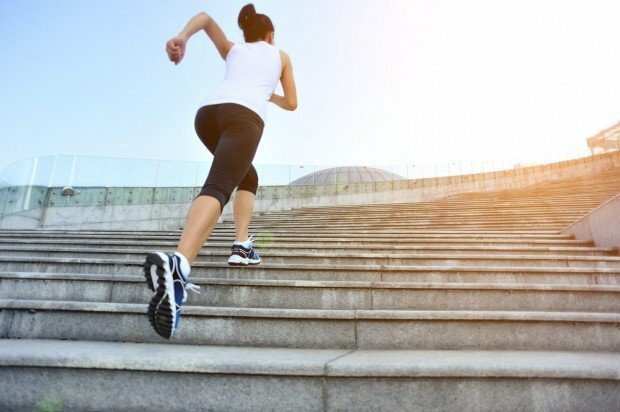 For athletes looking to go the extra mile, mental stamina plays a big role. Regularly seen as stress relief, the meditation techniques used in yoga can help one learn how to clear their mind and focus on the goal at hand. This can be particularly handy for runners in a race or those looking to elevate their running distance. Aside from providing a deeper journey into your mind, yoga also helps one better understand their body. As running neglects some muscles, yoga will provide you with a chance to become better acquainted with different parts of your body. In doing so, runners will be better able at listening to their body’s needs and pains, thus preventing them from seriously injuring themselves. Incorporating yoga into your routine as a runner is not the only way to maintain your health. Runners often have their favorite running route. While there’s nothing wrong with this, there are many benefits to switching up your running route. Click here to find out why it’s important for runners to embrace change. Yes. Runners can get benefited from yoga by having overall strengthening of the body muscles and improved awareness of the fitness level of the body. Yoga helps running while not neglecting the other aspects of the fitness.